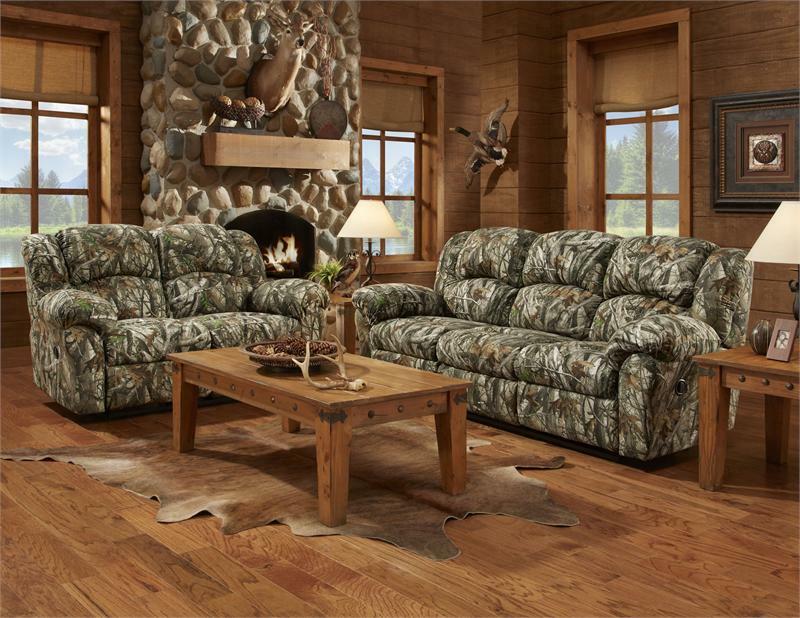 Contemporary design meets outdoor rustic. 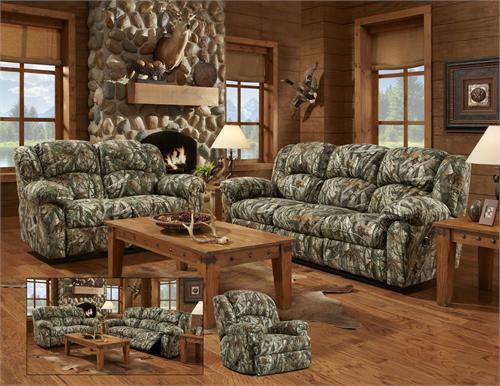 This Mossy Oak Group is perfect for the hunting and outdoor look. 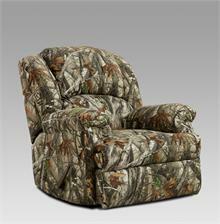 The sofa and loveseat are both covered front to back, top to bottom in Mossy Oak Camouflage fabric. 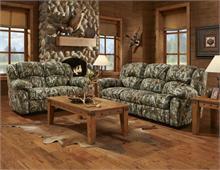 The reclining loveseat features a storage console with cup holders and the sofa sits 3 and reclines on both ends. 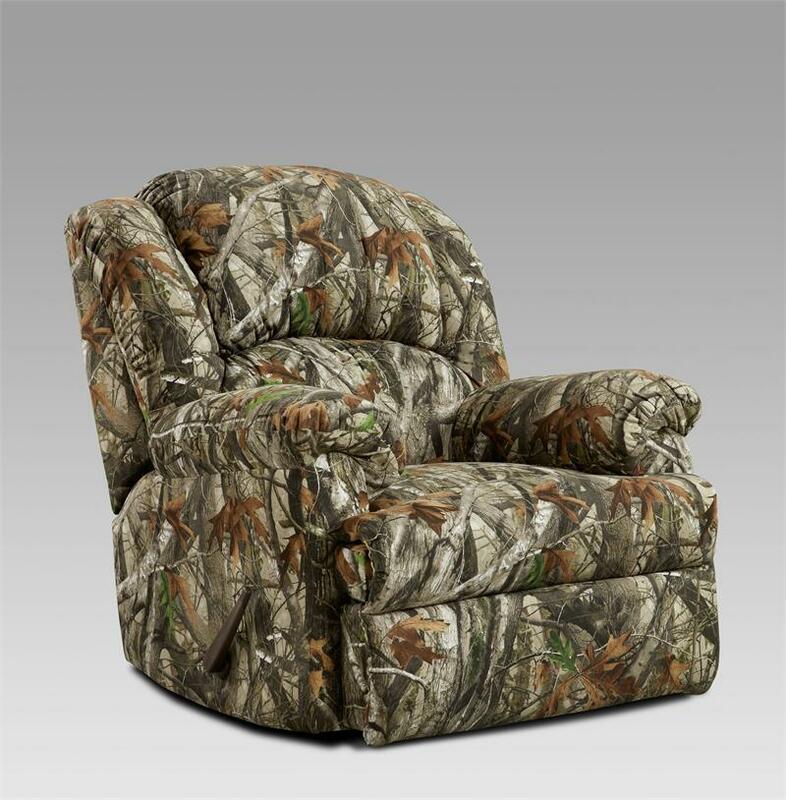 Don't forget to ask about the optional oversized Recliner.